Handmade to order from vintage wood and ball jars. 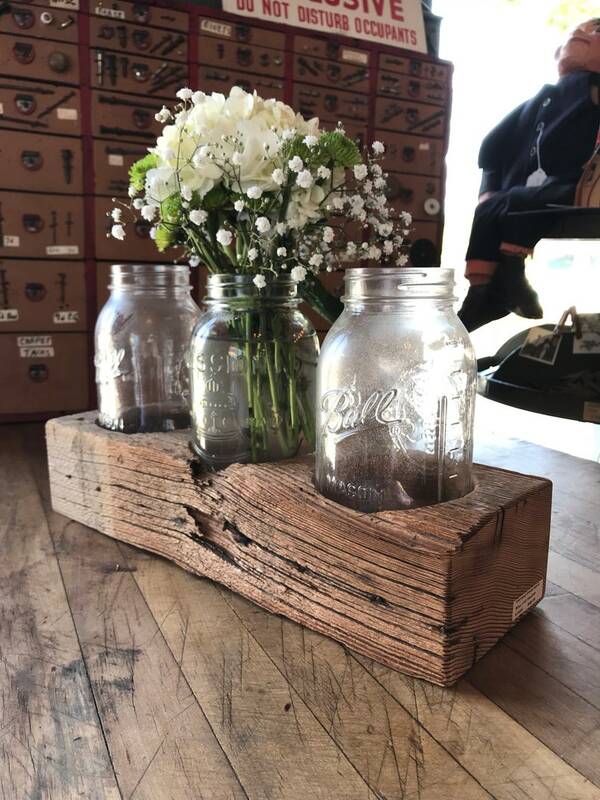 Vintage beam is hand drilled to hold three ball jars. Perfect floral vase, bath salt organizer, kitchen organizer.